AbanteCart allows granular access to a wide range of settings for your store. 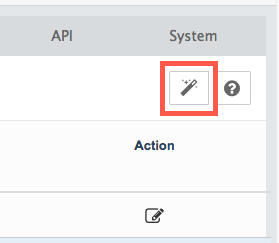 To view and edit your store settings in the AbanteCart dashboard, head to System > Settings > All Settings via the sidebar. 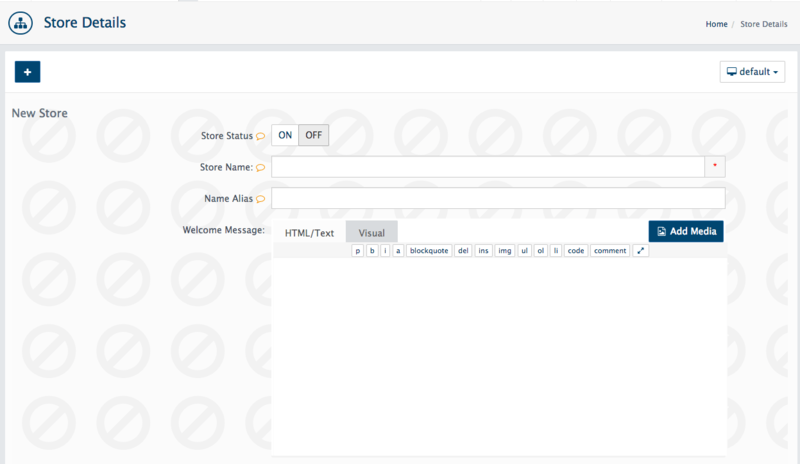 You can navigate between various setting categories (All, Store Details, General, Checkout, Appearance, Mail, IM, API and System) using the sidebar or tabs at the top of the screen. Alternatively, use the filters to find settings for a particular store (if you have a multi-store configuration) or a settings group (e.g. Appearance). You can even locate a specific setting by its key. Use the Edit button adjacent to a setting to modify its value. Selecting a settings group presents all relevant settings on the page. You can now edit the settings as required. Also note that you can re-run the Quick Start Wizard from the Settings page. Click the wand icon at the top right of the screen to do so. If you decide that you wish to add a new store to your portfolio, you can do so using the Plus icon at the top left of the screen, or by selecting System > Create New Store from the sidebar. This opens the New Store page, in which you can begin configuring your new store’s details. You can theme each store differently to build relevant brands for the type of products that are being sold. 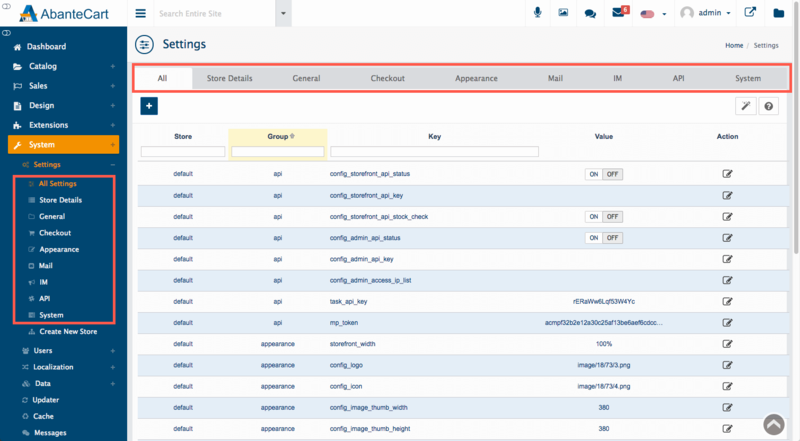 Set products to appear on specific stores from one administration interface. Set up default customer groups for specific stores – allowing you to have stores set up for retail or wholesale customers.